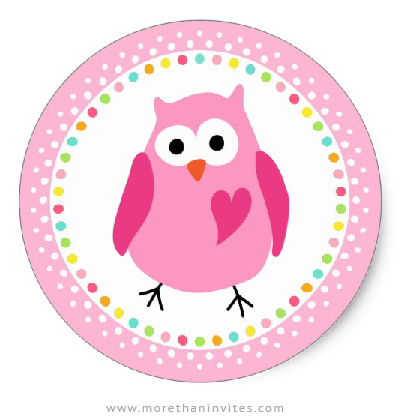 Fun stickers for girls featuring a cartoon illustration of a little pink owl inside a colourful polka dot border. The owl has a pink heart on the chest. Available from Zazzle.